The Wiley Ranch is steeped in pioneer history-- 14,000 acres of cattle country made up of seven homestead sites dating back almost 100 years. 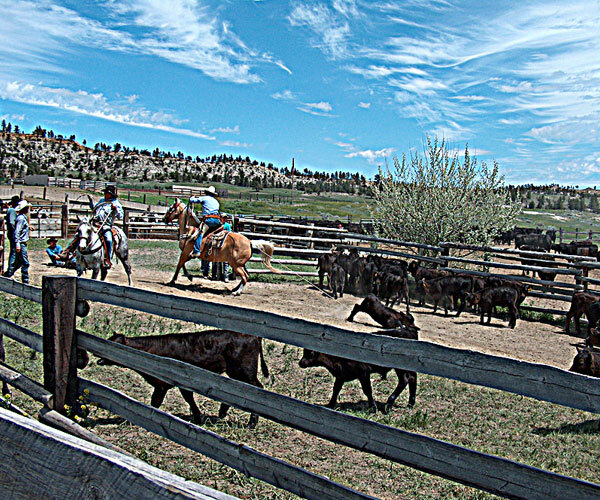 Guests enjoy a real hands-on working ranch experience and the opportunity to share the family’s special love of the West and their way of life. 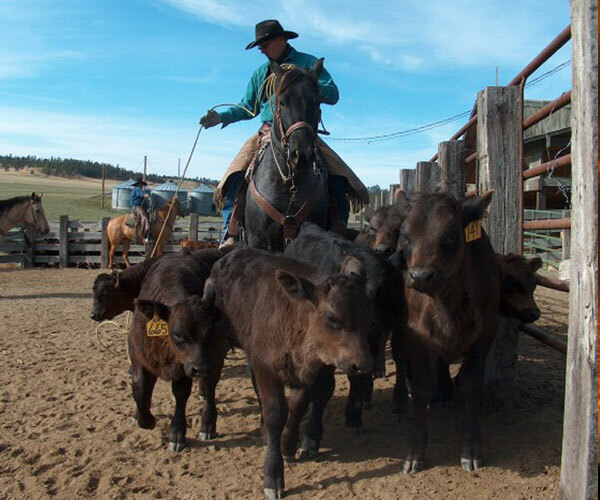 This civic minded ranch family is well respected in the cattle industry. 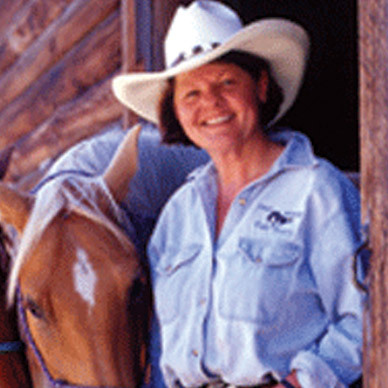 Kathy is past-president of the Montana CattleWomen and Scott is a member of the cultural exchange program known as Provider Pals providing urban children contact with ranching culture while building a bridge of mutual respect and understanding of the rancher as good steward of the land. 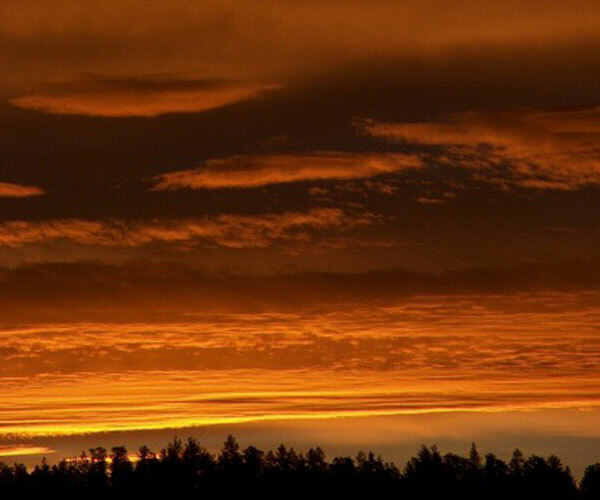 Located in the Bull Mountains, you’ll see long needle pines dotting the landscape, majestic bluffs overlooking grasslands and cattle grazing. 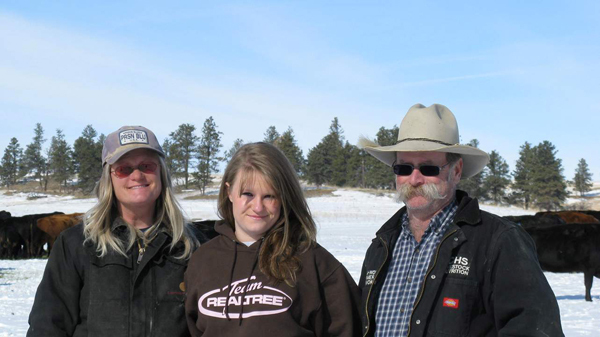 This is a working ranch and Scott, Kathy and daughter Mandy (age 18) keep very active with seasonal ranch chores running 350 to 450 head of cattle. Guests enjoy not only the spirit of the family, but also all of the activities that are associated with cattle ranching today. You’ll pass Indian pictographs by on your way to check the cattle’s water supply or when riding herd health. Watch for elk, antelope, deer and wild turkeys in the meadows when the wildlife comes out to graze in the evening. Enjoy the sport of calling coyotes, target practicing. A wonderful place to take pictures! Custer’s Battlefield is only a couple hours away. Bear Gulch Pictographs is a few hours away, in the opposite direction of Custer's Battlefield. Range Rider's Museum is also a few hours away. Two guest rooms (double and two twins) with private bath are located in the upstairs of the ranch house. There are also sleeping quarters (double and bunk beds) and a living space in the daylight basement where you’ll have access to a washer and dryer in addition to a private bathroom. Animal Planet Feature "Small Dogs, Big Jobs"
Wiley Ranch Corgi dogs featured on Animal Planet! Click Here to watch the video "Small Dogs, Big Jobs.